Update against UGC Letter Bearing F.14-15/2018(CPP-II) dated 19.09.2018 Special Programme on "Surgical Strike Day on 29.09.2018"
Admission going on in B.Ed session 2015-17 (Please contact to college/office for more details). Winter Fest Program is being held on 24th December 2015. 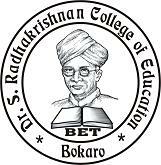 Congratulation to all the Faculty and Students for 100% FIRST Division result in B.Ed. 2013-14. 40 days Teaching Practice in School is being started from 22/06/2015. Please contact to College/Principal for more details.